Earlier this year, Chinese search giant Baidu revealed it was putting together a team based in Silicon Valley to work on autonomous vehicles. Those plans seem to be well underway, with the company receiving a permit California’s Department of Motor Vehicles to begin testing its vehicles on public roads, and now Nvidia has announced it will work together with Baidu to build a platform for semi-autonomous vehicles. 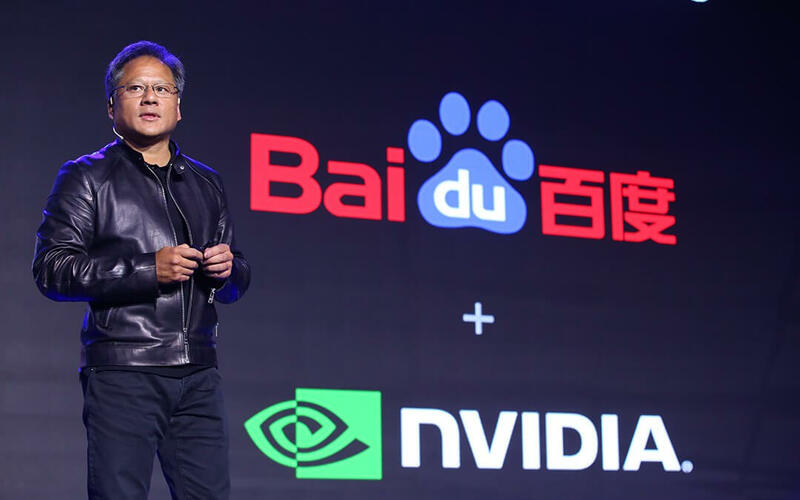 The details of the partnership aren’t yet fully clear but it will reportedly involve Nvidia's self-driving computing platform and Baidu's cloud and mapping technology. The two will collaborate on a platform that will allow Baidu to get a self-driving taxi fleet on the road, and also plan to offer the system to car manufacturers. The companies hope to achieve Level 3 autonomous vehicle control, which means the car can drive and park itself in some but not al circumstances, and a human driver must be present and ready to take over if needed. Nvidia has already made progress with its autonomous driving AI. For the past couple of years the company has been highlighting its work on the Drive PX2 a supercomputer “the size of a lunchbox” that is used to power its self-driving AI. Meanwhile, Baidu has also been hard at work with its own self-driving car deployment. The company completed a fully autonomous test around a 30-kilometer (18.6-mile) route late last year, and plans to introduce autonomous vehicles in 10 Chinese cities within three years.